Endemic Cuban Gnatcatcher, December 2016. Photo by Floyd Downs. The spectacular birds above and below were photographed by birders who traveled to Cuba with BirdWatching magazine in early December 2016. 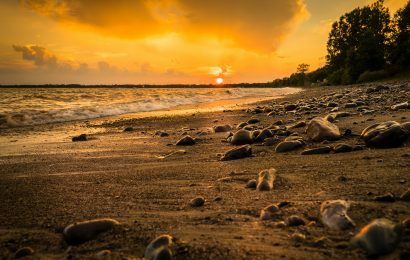 Guided by biologist Luis Diaz, curator of the National Museum of Natural History in Havana, and BirdWatching editor Chuck Hagner, the group recorded 150 species in all, including 21 of the island’s endemic species and 19 species that are endemic to the West Indies. Participants heard the songs of Cuban Solitaires and spotted Cuban Grassquits in western Pinar del Río province, recorded Zapata Wren and both Blue-headed and Gray-fronted Quail-Doves on the Zapata Peninsula, in Matanzas, and found Zapata Sparrow and Cuban Gnatcatchers near the Faro Paredon, the 160-year-old lighthouse on Cuba’s north coast. It was Bee Hummingbird, however, that provided the most memorable moments. Team members counted at least eight of the tiny birds in and around an 11-year-old firebush (Hamelia patens) in the narrow backyard of a house in Palpite, north of Playa Larga. More than one birder had to duck as hummingbirds zipped to and from the bright red blossoms. 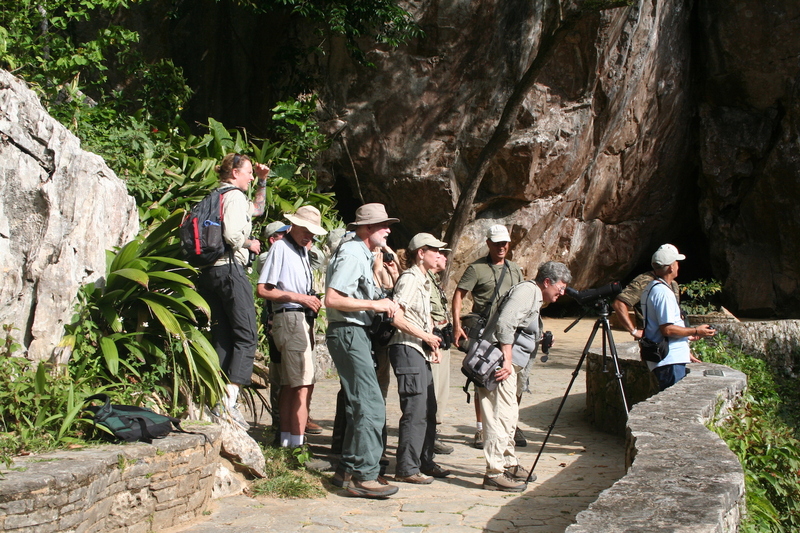 In addition to surveying birds, the group visited with Orlando Garrido, senior author of Field Guide to the Birds of Cuba, took a walking tour of Old Havana, and presented local birders with educational coloring books featuring the island’s birds, binoculars donated by Point Blue Conservation Science, and other items. We arrived at José Martí International Airport, outside Havana, and drove west to the town of San Diego de los Baños, in Pinar del Rio. Overnight at Hotel Mirador. We birded the Cueva de los Portales, Che Guevara’s headquarters during the 1962 Missile Crisis, and the former colonial estate known as Hacienda Cortina. Then we drove to Las Terrazas and checked into Hotel Moka. We birded the Hotel Moka grounds, the community’s dairy farm, and Cafetal Buenavista, a hilltop former coffee plantation. Then we drove east and south to the town of Playa Larga, on the Zapata Peninsula. We birded in the Refugio de Fauna Bermeja and at Soplillar. 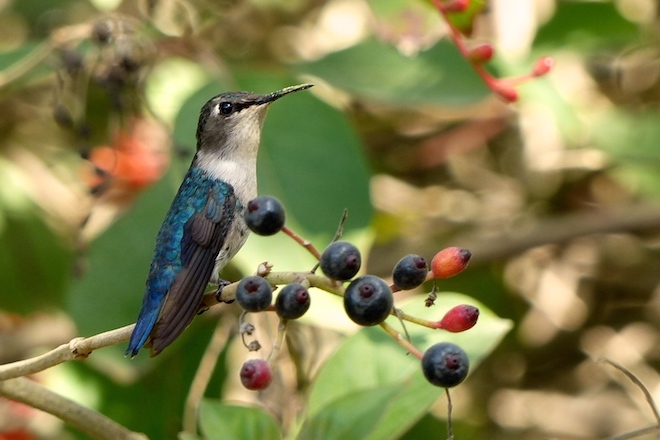 We found Zapata Wren at La Turba, stopped at the Guamá Crocodile Farm (Criadero de Cocodrilos), and visited a home in Palpite, where Bee Hummingbirds were zipping in and out of a blooming 11-year-old firebush (Hamelia patens) in the backyard. After lunch, we drove to Salinas de Brito, south-southwest of Playa Larga, where we saw hundreds of American (Greater) Flamingos. We drove east and north, across the island, to Cayo Coco and checked in at the beachfront Hotel Sol Cayo Coco. 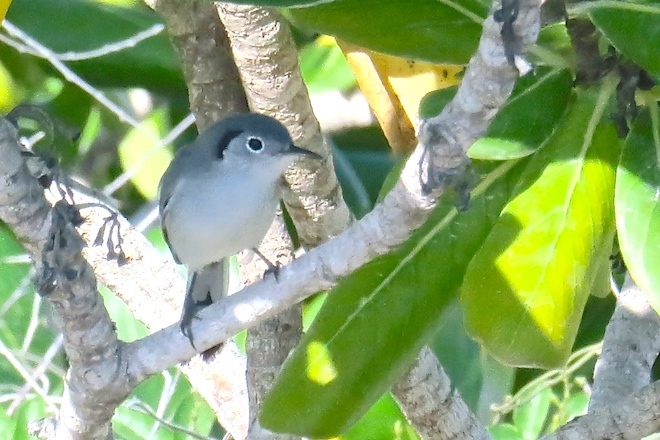 We birded Cayo Romano and Cayo Paredon Grande, where we found five Cuban Gnatcatchers in the shadow of the 160-year-old lighthouse known as Faro Paredon. We also birded the Cayo Coco beach, pond, and sewage-treatment facility. After dark, we saw Yellow-crowned Night-herons. We found Mangrove Cuckoo and watched Key West Quail-Doves outside the Cueva del Jabalí (Wild Boars Cave). Then we set off for Sancti Spiritus. En route, at a fish farm near the town of Moron, we watched Snail Kites as well as Eastern Meadowlarks. Overnight at Rancho Hatuey, just north of Sancti Spiritus. We drove west to Havana, checked in at the Park View Hotel, and explored the city. We took a ride in vintage cars, went on a walking tour of Old Havana, visited with famed ornithologist Orlando Garrido. We flew back to Miami. 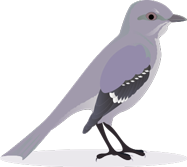 Before your jump to the list of bird species recorded during the bird survey (below), you should know that we’re planning another bird survey. It will take place in December 2017. Subscribe to our free biweekly e-newsletter and watch your email inbox for details. Bee Hummingbird, an endemic Cuban species, December 2016. Photo by CJ Johnson. In “Birding Briefs” in our March-April 2017 issue, on sale at Barnes & Noble and other newsstands February 28, we published photographs of 10 of the 21 endemic species recorded during the December 2016 bird survey. 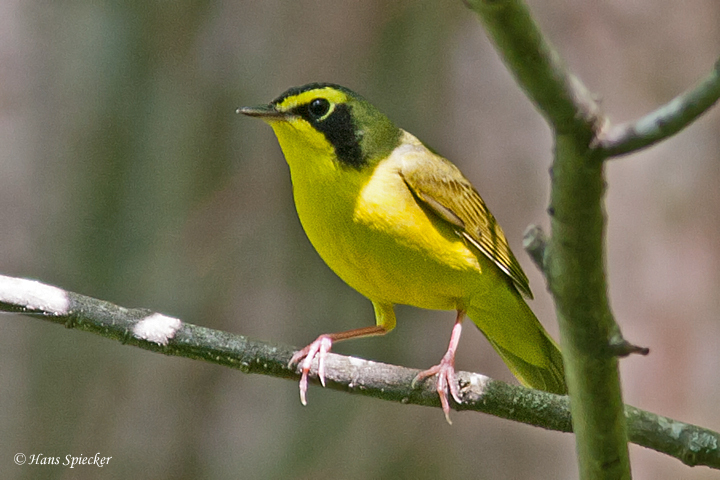 Read Carrol Henderson’s 2015 cover story about birding in Cuba. 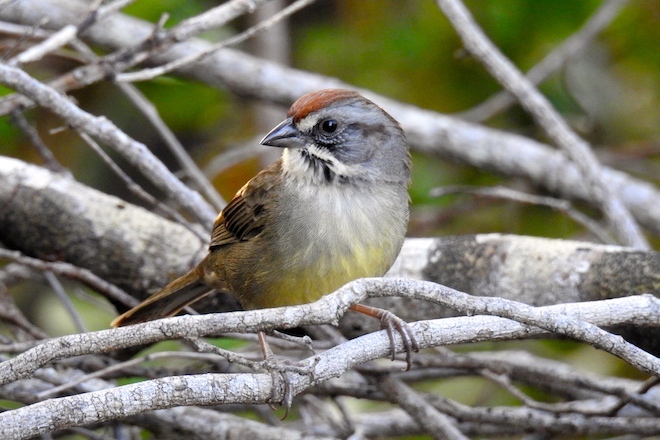 Read a summary about our first Cuba Bird Survey, in February 2016.